The reason is Biztalk projects are internally treated as C# projects. So during any reapair or update to VS 2008 , a registry entry will be overwritten. We have 2 solutions for this issue. 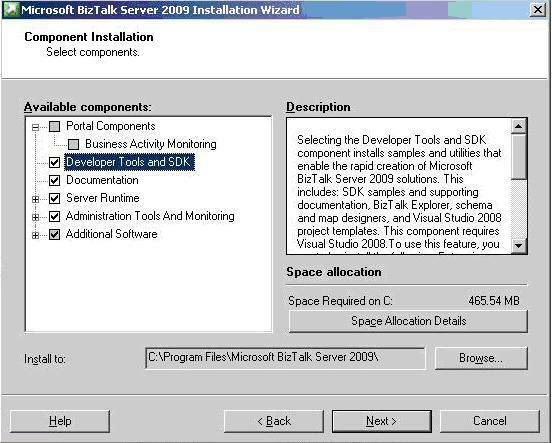 1.Doing a reapair to Biztalk Server will solve the issue as during Biztalk installation the registry entry will be updated to support Biztalk Projects. You can either run the Biztalk Installation -setup.exe or directly go to Control Panel->Programs and Features->Add/Remove Programs->Biztalk Server 2009 -> Repair. 2. Change the value of the following registry entry from csproj: to csproj;btproj. I have installed BizTalkServer 2010 and Visual Studio 2008. I have done that which is specified above. I can’t find any option to create a BitTalkServer-project in Visual Studio 2008. What should I do in order to enable this option? If you cant find any option, it might be beacuse you didnt select the Developer Tools while Installing BizTalk. However this is for BizTalk 2009. It might be the same even for 2010. You try reinstalling the BizTalk with that Option Checked.